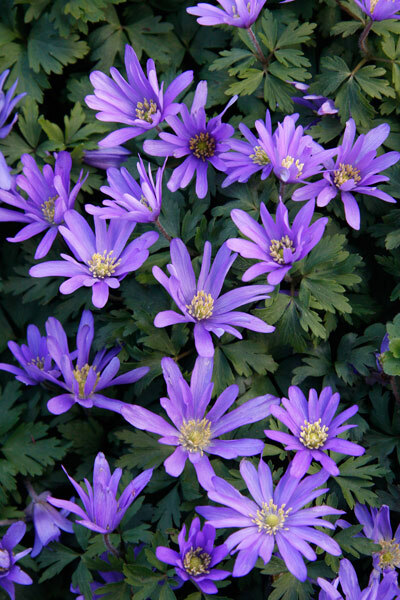 A detail from a fine spread of Anemones set in a domestic garden. 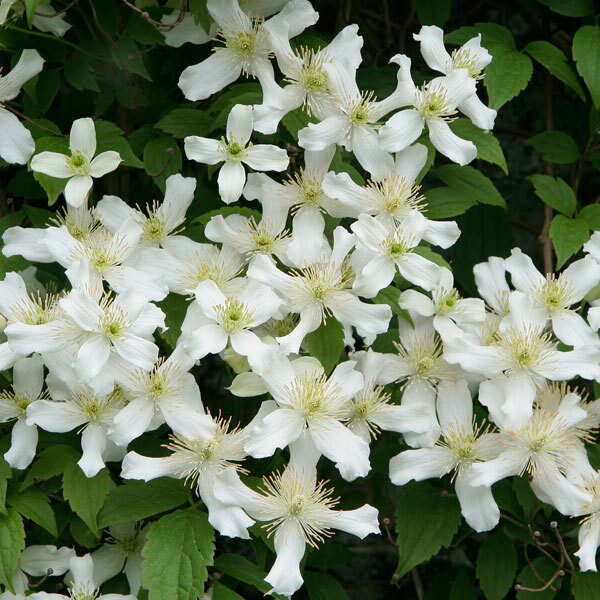 This buttery white Clematis was growing vigorously over a garden wall. 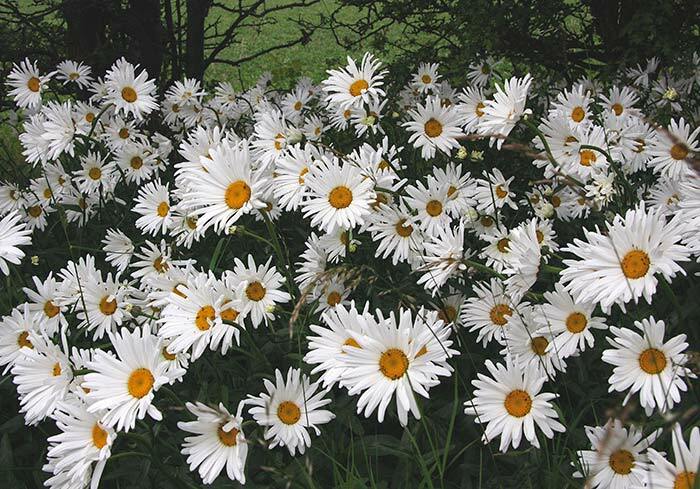 2011 saw a prolific crop of Ox-eye daisies in fields and hedgerows near my home. 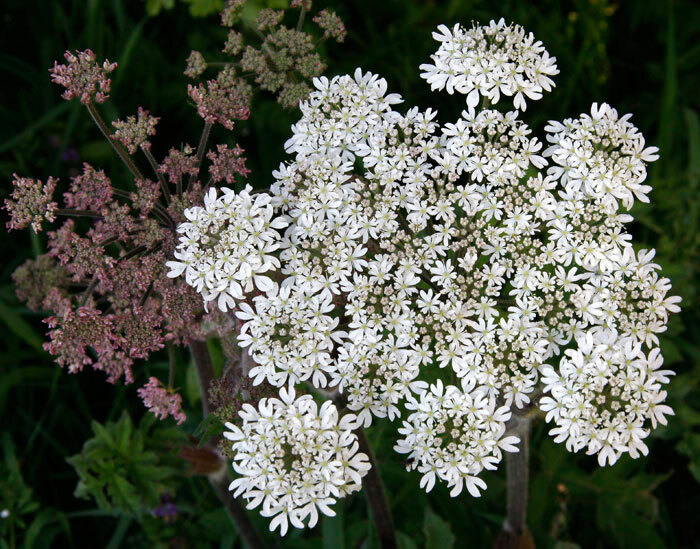 A large roundabout junction on a dual carriageway wore a vast and splendid carpet of them until they were all cut down in full-flower. Reaching no more than a couple of feet in height, the local highways authority maintenance contractors explained that they posed a health and safety hazard to passing traffic. 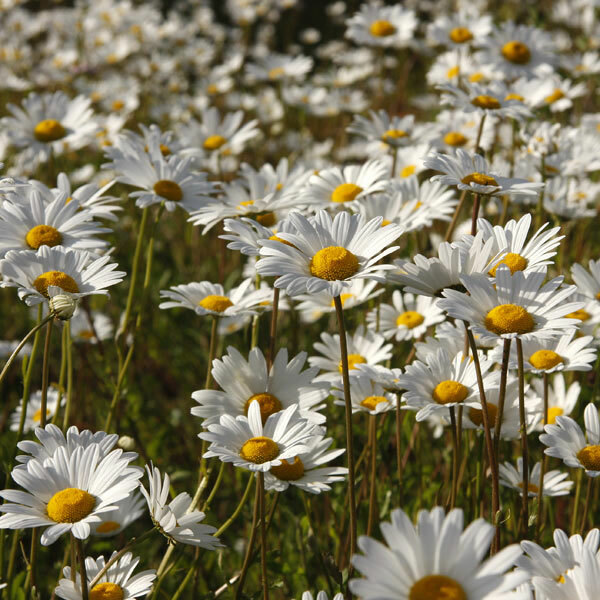 This swathe of roadside daisies was shadowed throughout the day by mature hawthorns until the summer sun reached them in the late afternoon. On a walkabout I found this specimen growing in the deep shade cast by a row of mature trees. 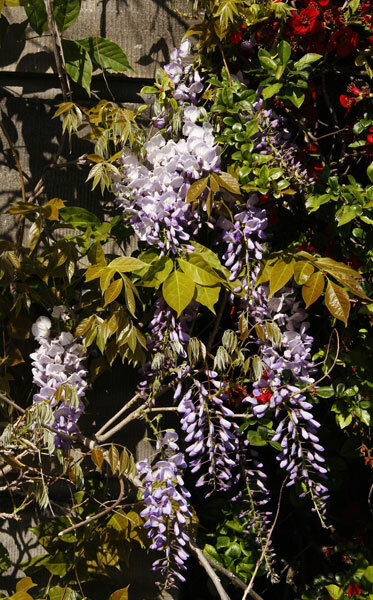 A Wisteria climbs the façade of a building in a local public park. 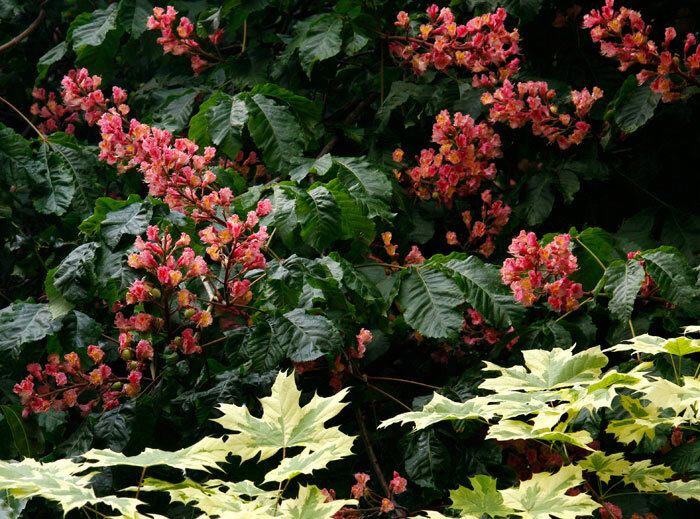 I liked the contrast between the bold chestnut and the delicate maple. Branches from this chestnut tree overhang a high garden wall on the other side of my street. 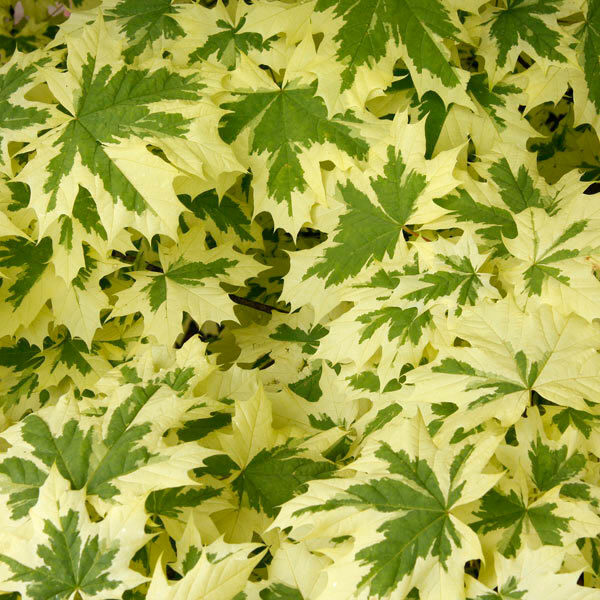 Not a native variety, its large and waxy palmate leaves shift from deep green to a beautiful autumnal gold. 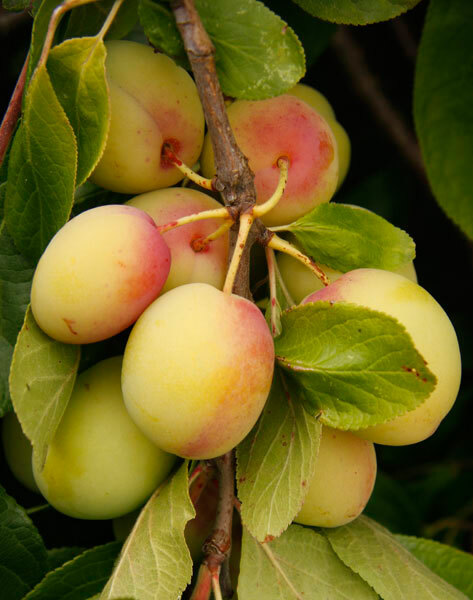 The fruits are large and in a brown shade that is almost black. 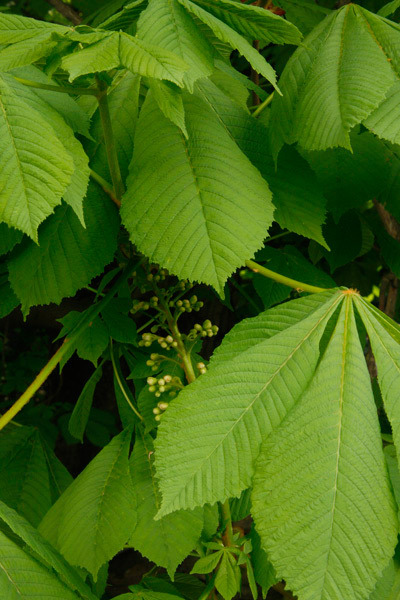 Unlike those of the native horse chestnut, their green cases are almost as thin and supple as glove leather. 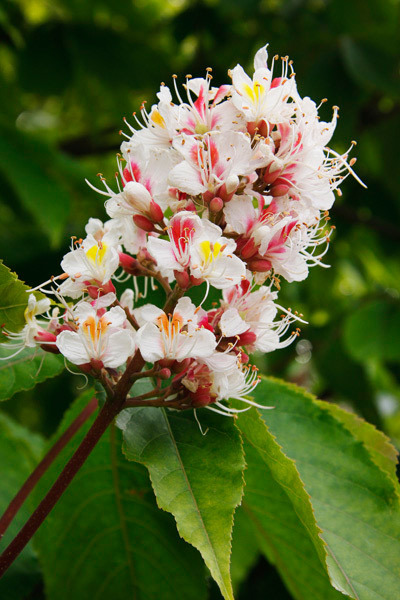 This modestly scaled horse chestnut stands on a tight site between village houses and a river. Its leaves seemed in bud one day and miraculously fledged the next, their delicacy as yet untouched by weather or insects. The nascent flower spike was easy to overlook when walking by. 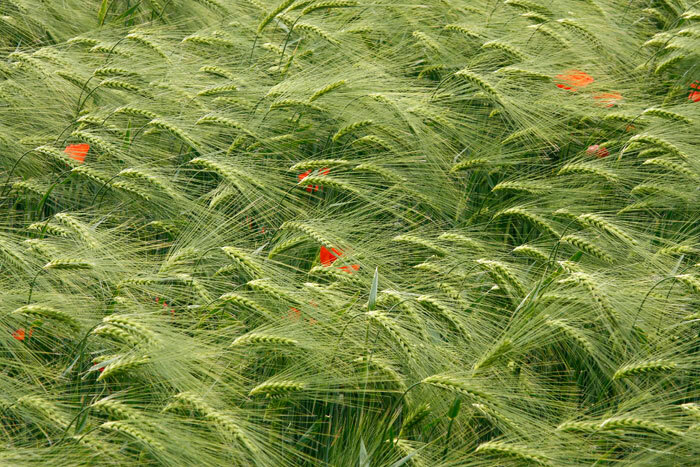 A detail shot from a field of barley maturing close to my home. I like to watch the delicate heads move in gentle waves created by the slightest breeze. 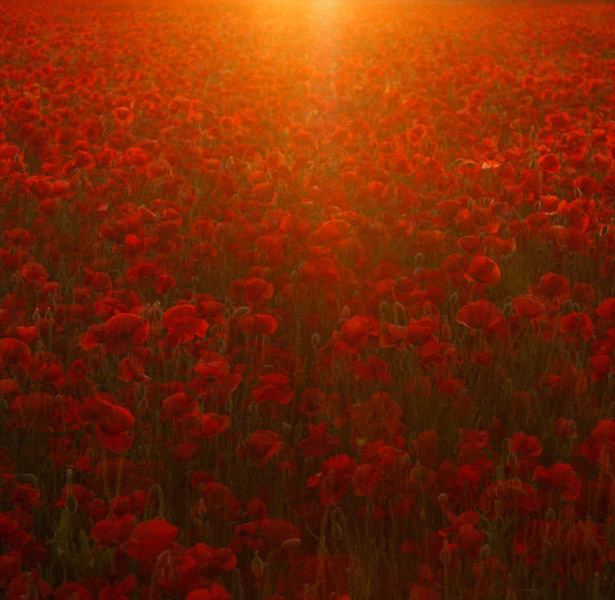 The spare punctuation of red poppies was in great contrast to their floods of colour in nearby fields. 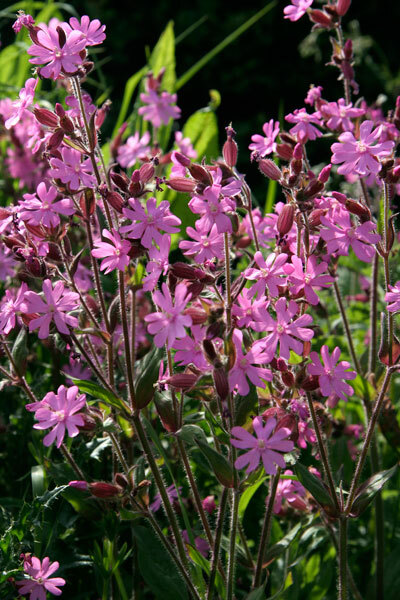 A stand of perennial Red Campion grows alongside a tall hedge that’s joined for a short way by a brook. It’s on a favourite walk along a narrow lane that climbs the valley side above my home. 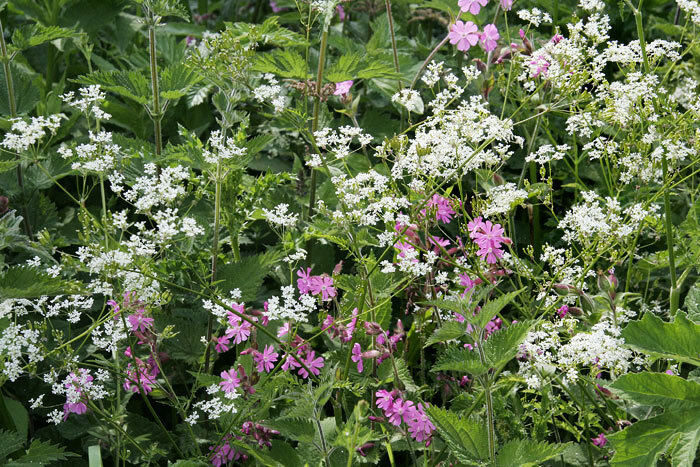 Parsley, Red Campion and Stinging Nettle mingle under the protection of a Hawthorn hedge. 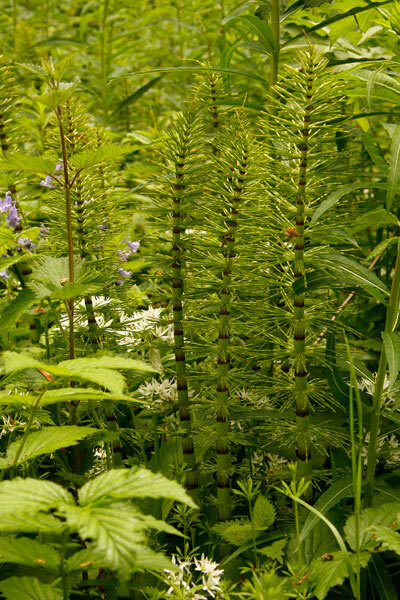 Bluebells, Garlic, Goose-grass, Nettles, Willow Herb, an Elm seedling and Mare’s Tails share a patch of damp ground by a woodland path. The delicate colours and the intricacies of the layered positive and negative shapes appealed. This aged plum tree grows against the wall by my front door. It fruits without fail but rarely as generously as in 2011. 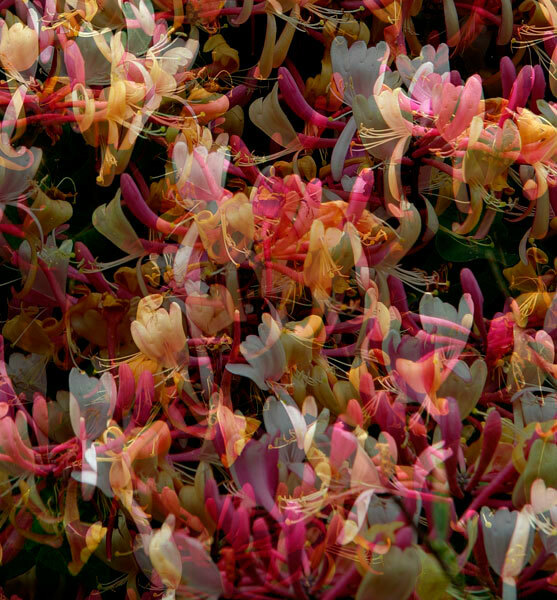 I like the scent and sight of honeysuckle whether yellow and wild in a country hedgerow or on a bolder and more colourful scale in a garden. I combined two photographs to create further texture and colour. 2011 was a vintage year for Field Poppy displays around my home village. I had photographed the fields in past years but wanted to achieve something a little different. Apart from cropping the lower edge of the image, this is as it emerged from the camera. This composition combines two untouched exposures made at the same time as Image 17.